Looking to build your new home ? Receive an obligation free quote. is the next generation in a long running family building company that is based on the Sunshine Coast where you are given personalised service. We build all shapes and sizes. Browse our range of designs for your new home. We can do a custom design. Sneak a peak at these beautiful homes we have built. At Dall Designer Homes we will make you feel like part of the family. 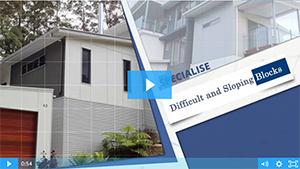 Sunshine Coast Builder - Building individually designed homes on blocks of all shapes and sizes.